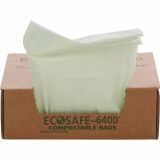 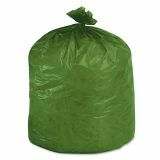 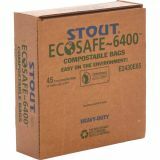 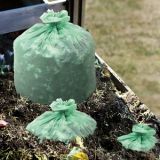 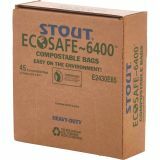 Stout EcoSafe-6400 Compostable Compost Bags, 13gal, .85mil, 24 x 30, Green, 45/Box - Compostable trash bags meet ASTM 6400 certifications for compostable plastics. 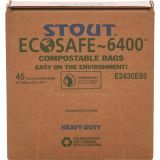 The bags are 100 percent biodegradable and compostable, totally degrading in 10 to 45 days in commercial compost. 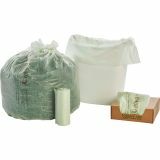 Bags control odor and dissipate moisture.